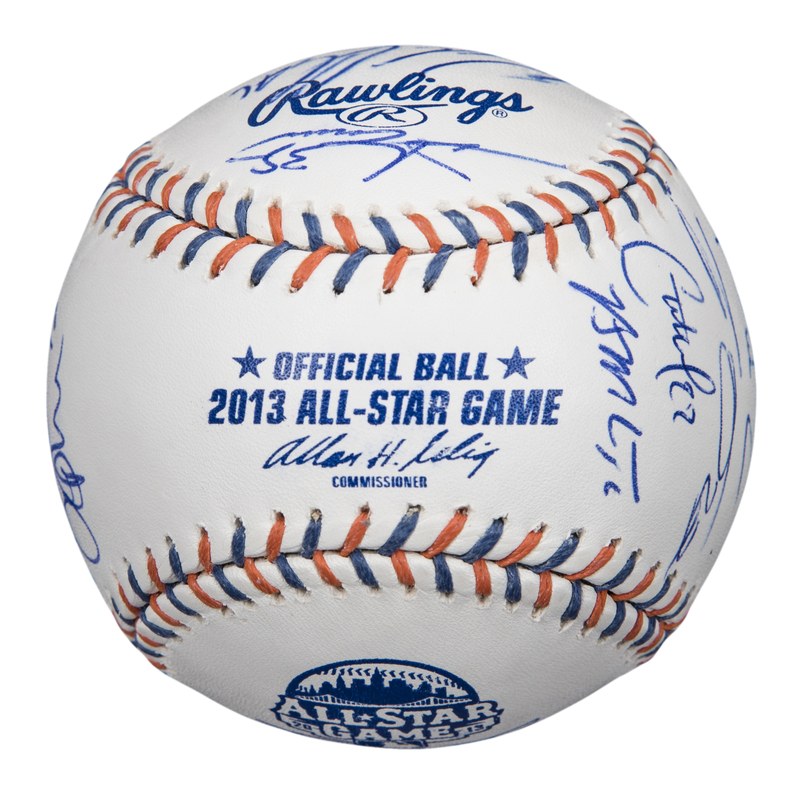 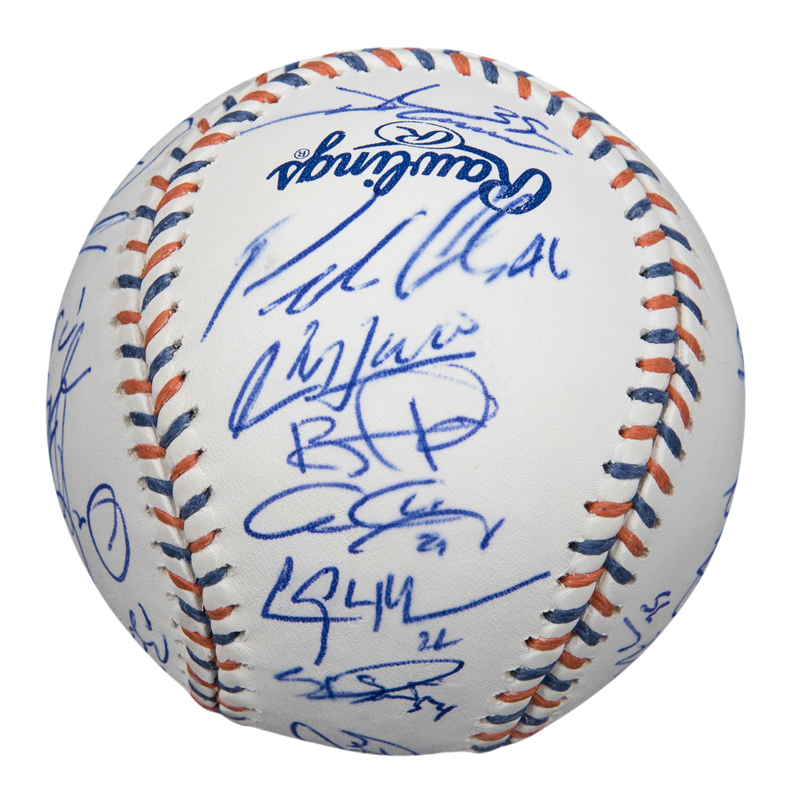 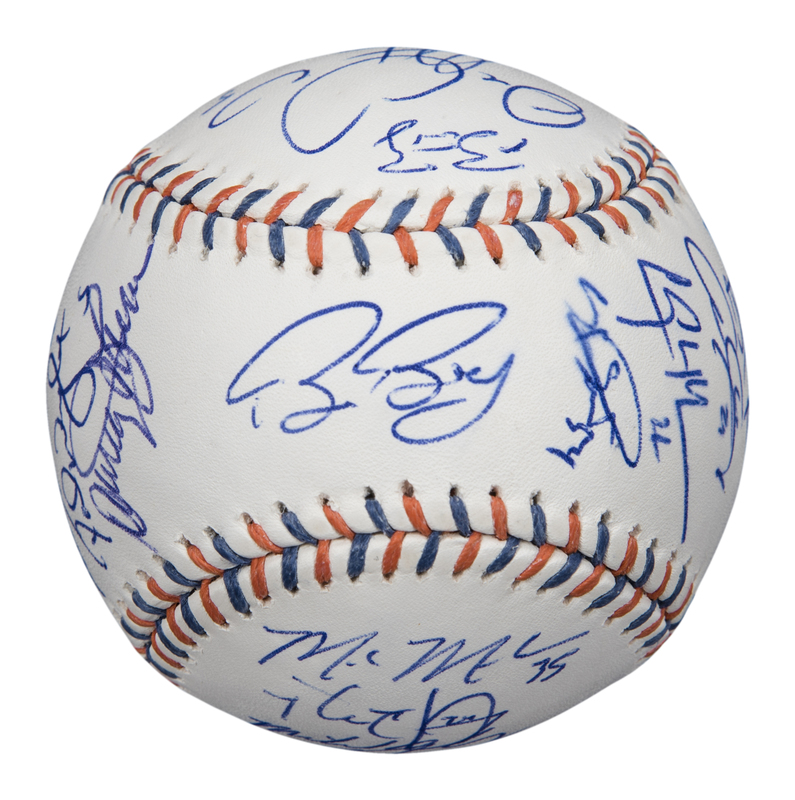 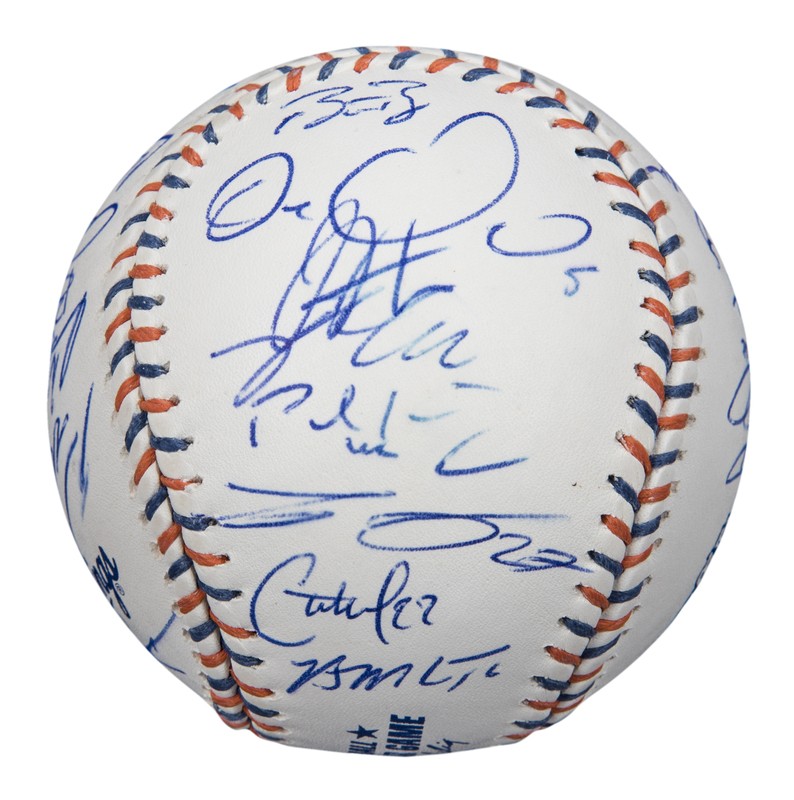 Presented here is an Official 2013 All-Star Game Allan H. Selig baseball signed by 25 members of the National League All-Star team. 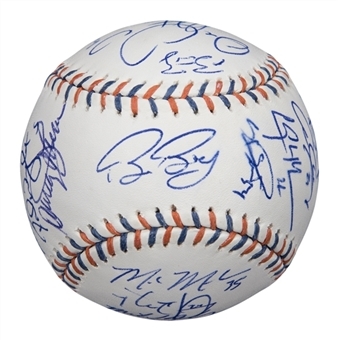 Manager Bruce Bochy has signed the sweet spot, while other signatures include Clayton Kershaw, David Wright, Freddie Freeman, Mark Melancon, Craig Kimbrel, Travis Wood, Bryce Harper, Sergio Romo, Joey Votto, Paul Goldschmidt, Carlos Gonzalez, Andrew McCutchen, and several more. 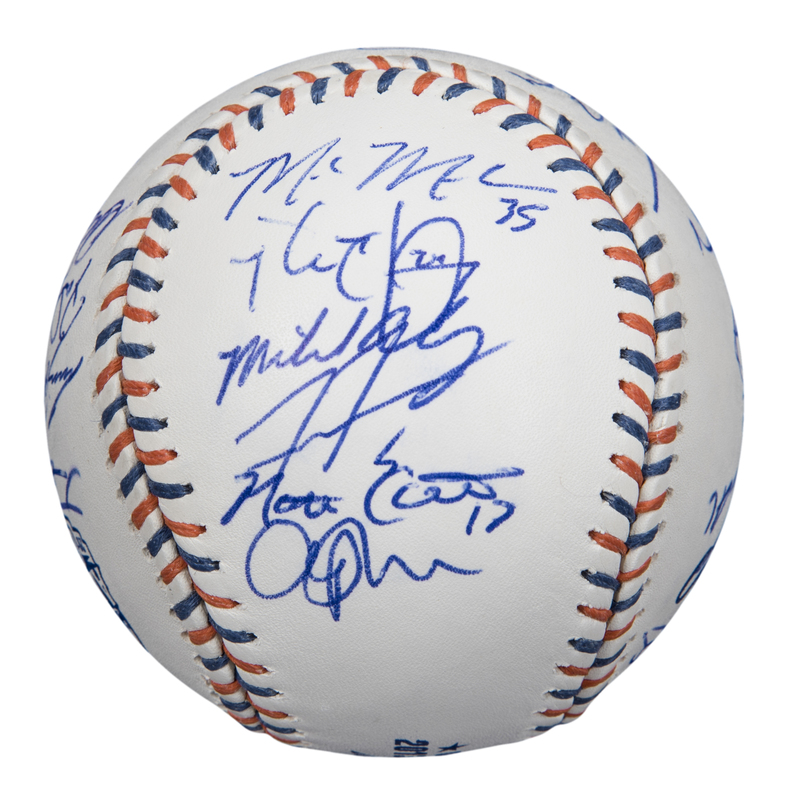 The signatures have been written in blue pen. 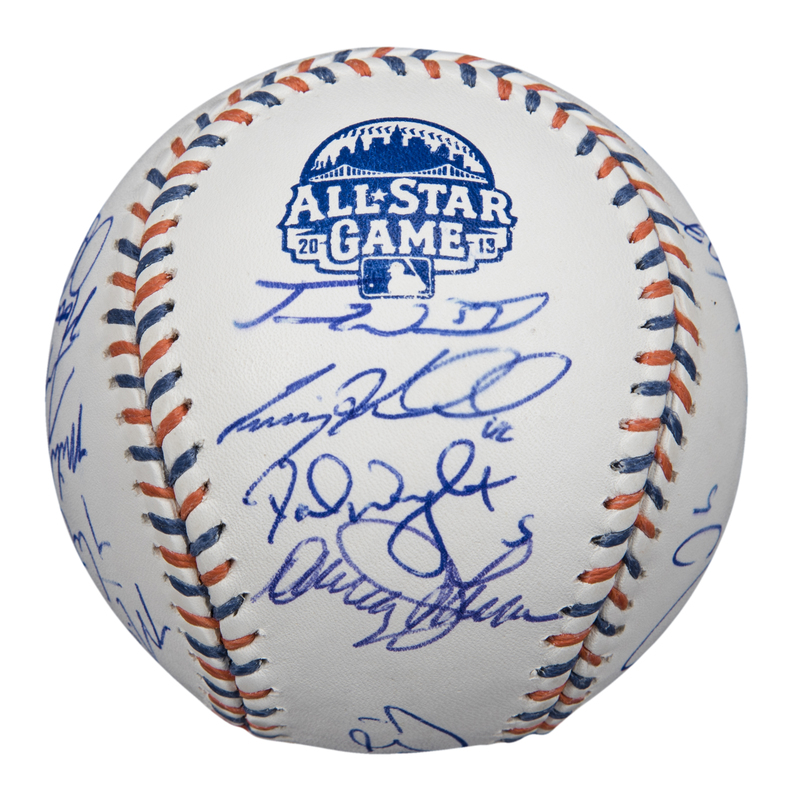 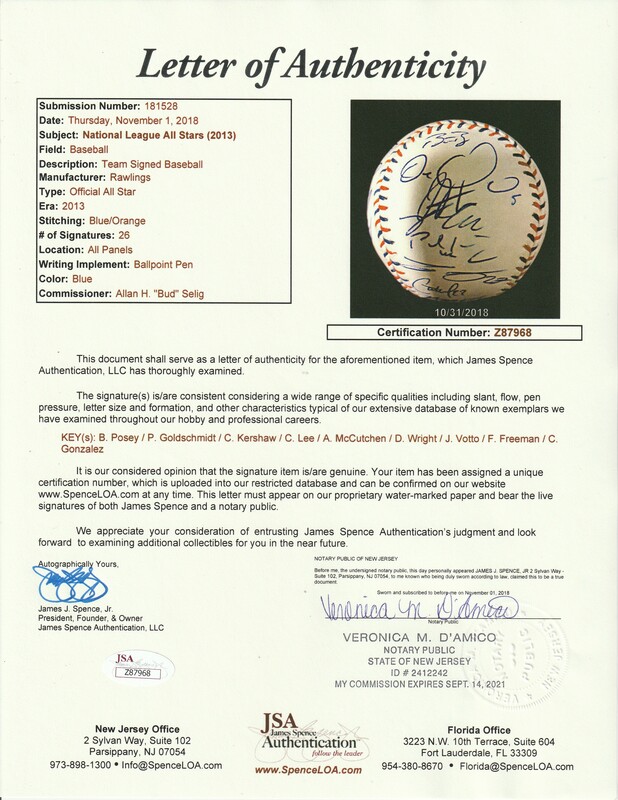 This baseball is accompanied by a LOA from JSA (Z87968).